Over time, teeth begin to exhibit signs of aging. Whether dark drinks or poor genetics are to blame for the continual damage to your teeth, Affordable Dentistry and Orthodontics can help! We offer dental whitening in Dumfries, VA, that guarantees to reverse the staining and yellowing of your smile. Have stains and discoloration made you uncomfortable with the appearance of your smile? Do you feel self-conscious when smiling in photos? Professional teeth whitening has the ability to transform the way you look and feel. You smile says a lot about you, so whiter and brighter teeth can help you put your best foot forward in all situations. Dental Teeth Whitening That Lightens Teeth in One Visit! After only one appointment at our practice, you can lighten your teeth up to several shades. In addition to this dental whitening, we also provide you with a number of other cosmetic services to produce a complete smile makeover! All you have to do is set up a consultation with our dentists to discuss the imperfections that leave you feeling unsatisfied with your smile. We then create an individualized treatment plan that delivers the outcome you desire. While at-home teeth whitening products promise impressive results, they often fail to follow through on those promises. Our in-office teeth whitening has proven effective over our many years in business. Using the latest whitening methods, you can see immediate results and avoid unfortunate consequences of other harmful whiteners, such as gum and tooth sensitivity. 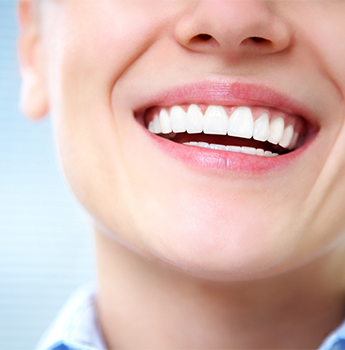 For a whiter and brighter smile, look to the professionals from our local office! Contact us and set up a consultation today. We offer dental whitening for Dumfries, Montclair, Stafford, Manassas, Quantico, and Triangle, Virginia.